Although summer still has another month to go, my mind is in full swing of sewing for the Fall. Jude has been my main focus, but when this tour came up, I couldn't resist making something for myself! Stylish Fabrics has a ton of amazing fabrics to choose from and I was very pleased to see the prices they're offered at too! 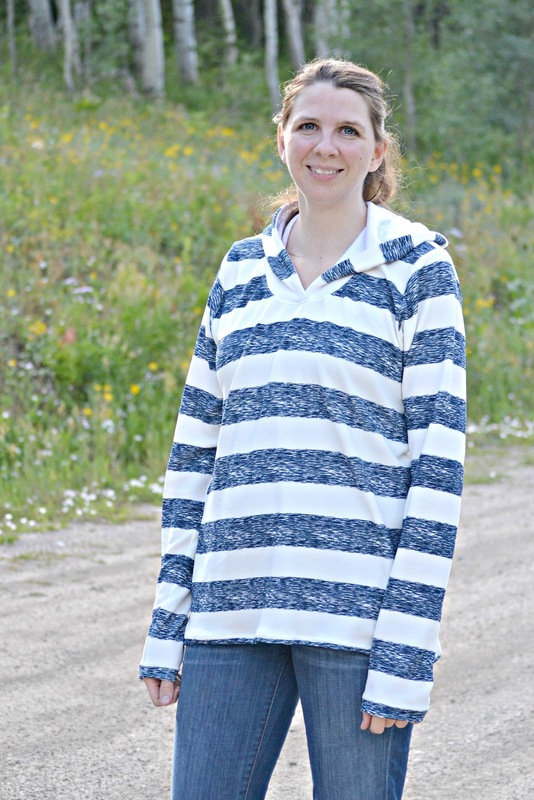 I finally chose to review the Navy Chambray Off White Liverpool Stretch Knit because one: I love stripes and two: I've never sewn with Liverpool knit before and I just had to try it! 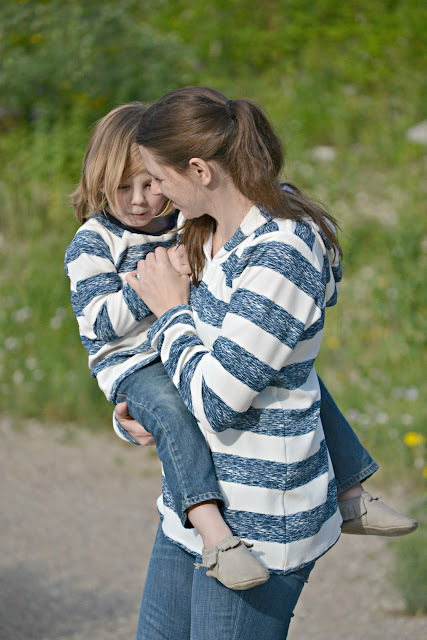 I seriously live in Hoodies, and I've been dying to make the Halifax Hoodie by Hey June. I had to adjust the length a bit, but I have to do that for every pattern. All of the pieces fit together perfectly and it did not take long at all to sew up. You can't get more perfect than that! I can see why so many people love liverpool knit too. 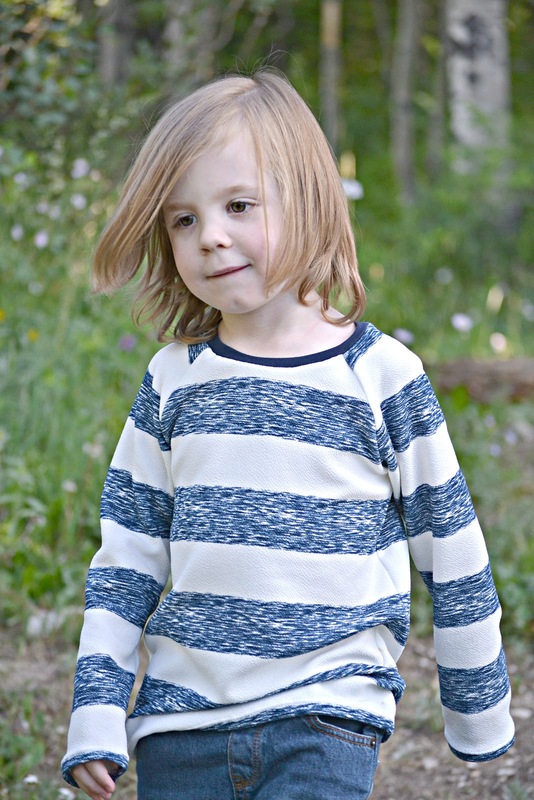 It was so easy to sew and I didn't even need a billion pins to get my stripes all lined up! The fabric was wide enough that once I had cut out my hoodie I had just enough left to make Jude a Safari Raglan by Titchy Threads. LOVE wide knits! He absolutely loves that his shirt matches mine. He's absolutely the biggest mama's boy. Stylish Fabric has an EPIC GIVEAWAY going on with tons of patterns along with a brand new sewing machine, so you will NOT want to miss it. Check them out on all their social media. Don't miss out on all the other stops this week! 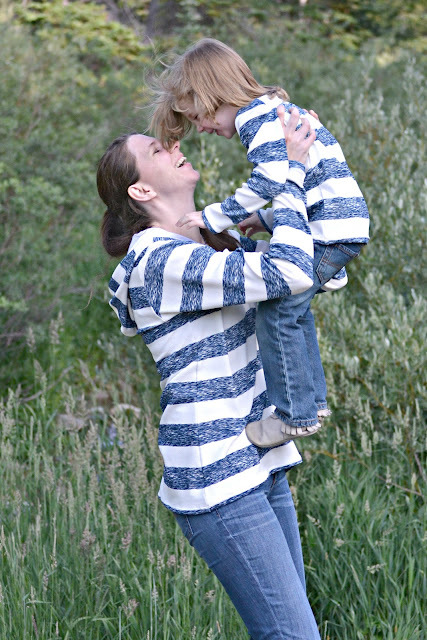 That fabric is awesome and I love how you matched with your son! So cute! I love those stripes! I have a super cute mama's boy too, I don't know why I haven't made us anything matchy yet but you have inspired me! So stinking cute! 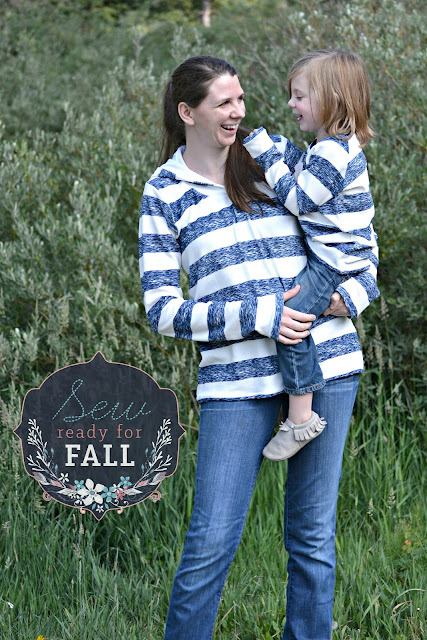 And I'm totally with you on the fall sewing, Halifax Hoodie & indoor air conditioning! Super cute! I love those stripes!! I can't believe that you not only had enough fabric left over to match him but to also match up his stripes too! I love the stripes. I might have to go buy some for myself! So many fun things from the Halifax hoodie paytern this week. I have this pattern but haven't sewn it yet. Pretty sure that will change soon! Love the striped fabric but those matching outfits are just too too cute! Such sweet photos of you two in matching shirts! Perfect line-up of those stripes! There's nothing quite like a comfy hoodie on a crisp fall day. You are ready! Oh my gosh, this is the most adorable post ever! I love that you and Jude are matching, both tops look amazing. That knit is gorgeous, so glad you saved some for yourself. 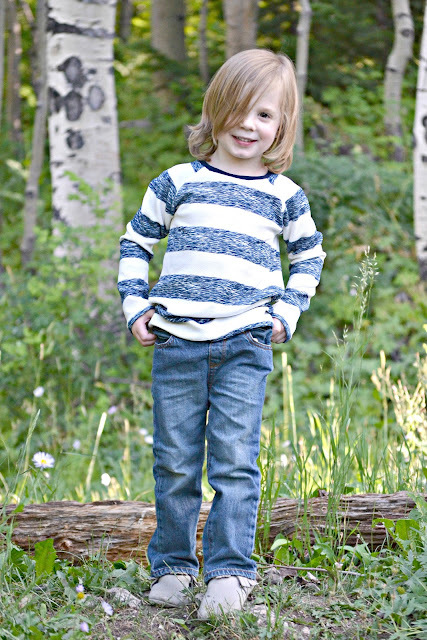 Love the pictures of Jude and you! that fabric is great! 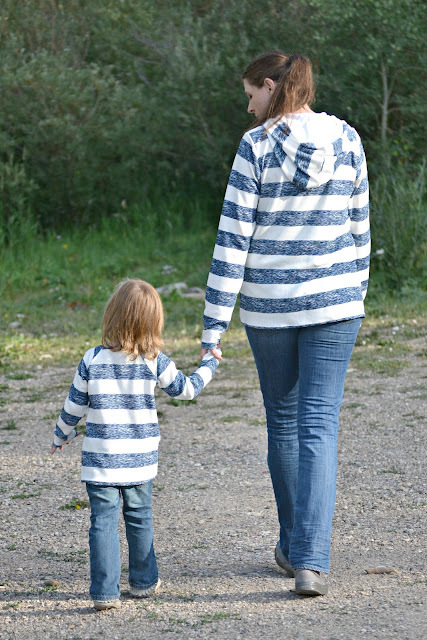 And, I love the matching mom/son idea!